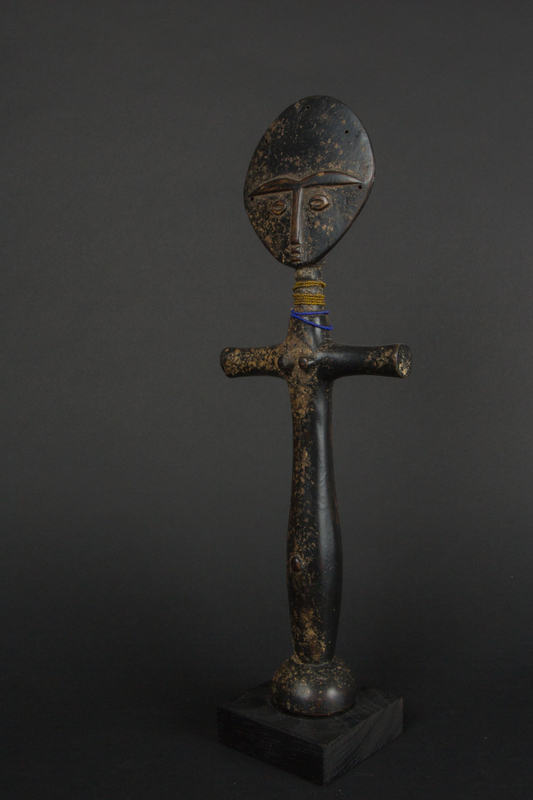 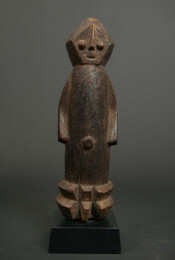 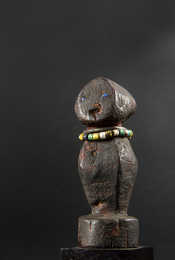 This type of fertility doll is called Akuaba by the Ashanti people of Ghana in Africa. 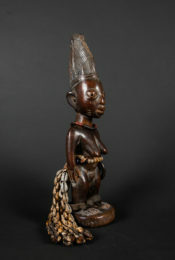 The legend of the origination of the Akua'ba doll comes from the story of a woman named "Akua" who could not get pregnant. 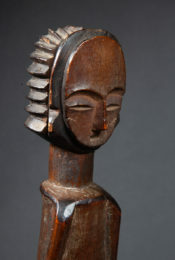 She went to a local priest who commissioned the carving of a small wooden doll. 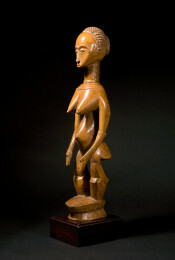 She carried and cared for the doll as if it were her own child. 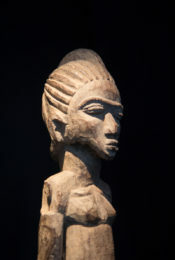 Soon the people in the village started calling it "Akua’ba" - meaning "Akua's child”. 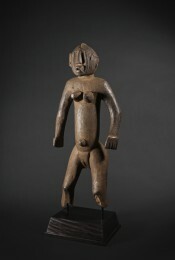 She soon became pregnant and her daughter grew up with the doll. 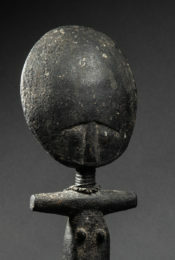 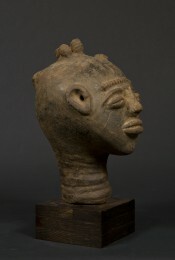 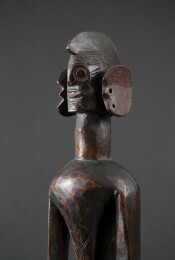 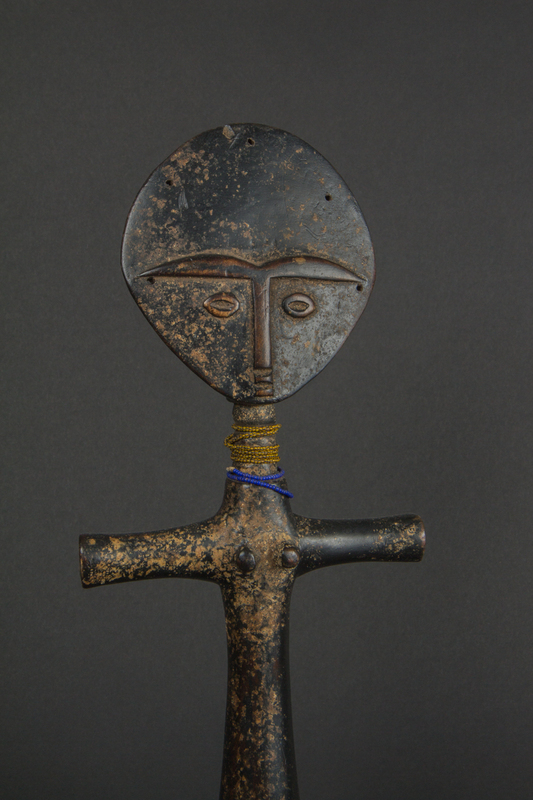 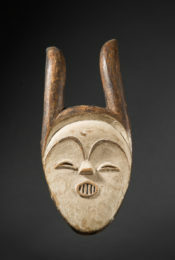 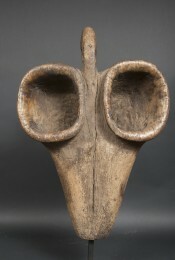 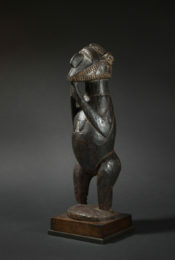 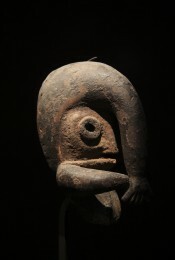 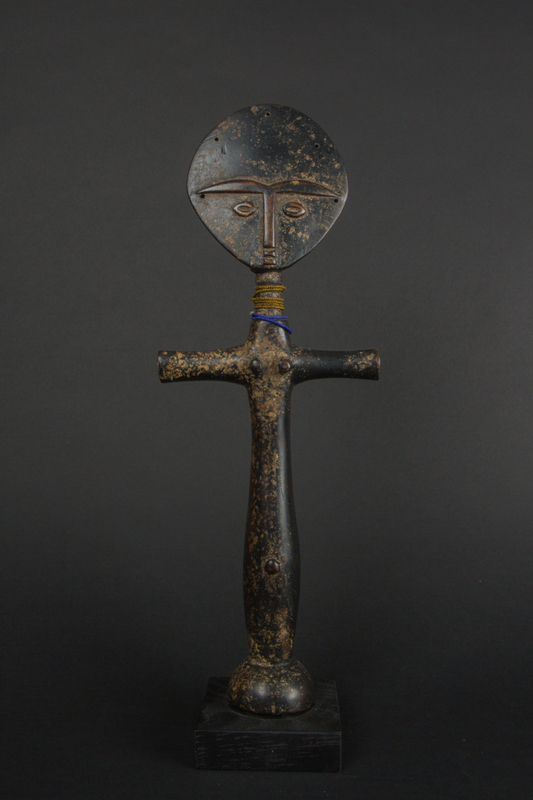 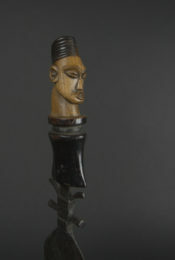 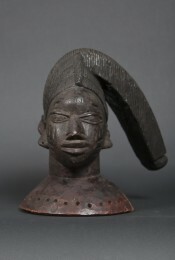 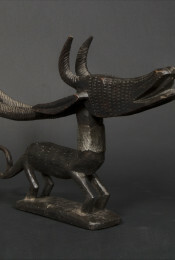 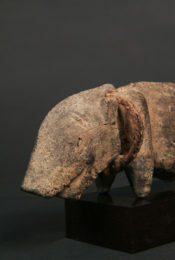 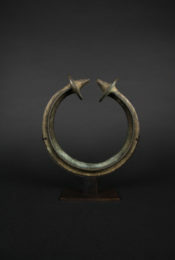 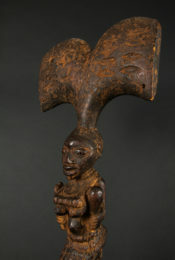 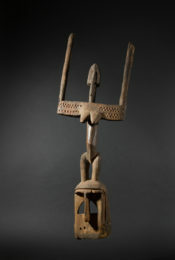 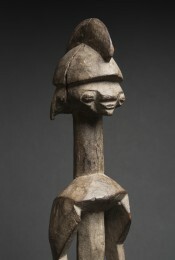 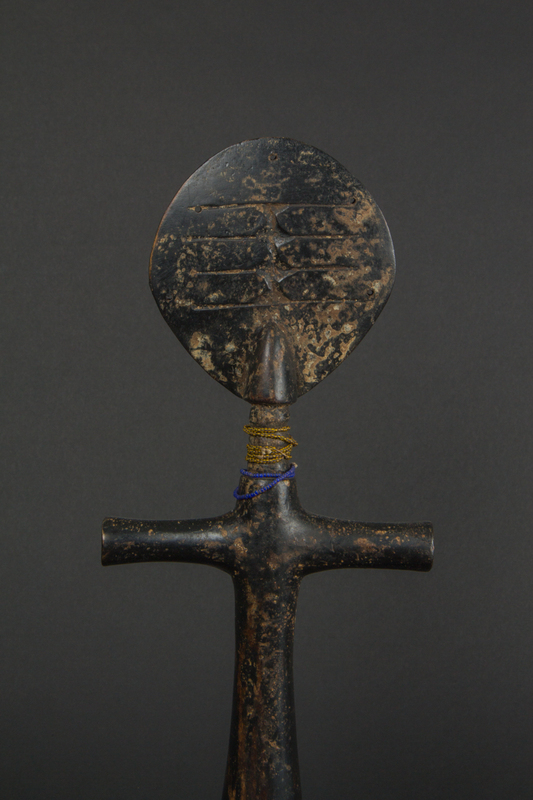 In terms of symbolism, the flat, disk-like head represents the Akan ideal of beauty. 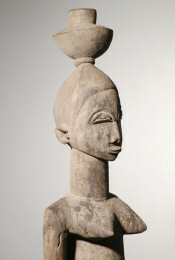 The ringed neck, depicting rolls of fat, are symbols of beauty and prosperity. 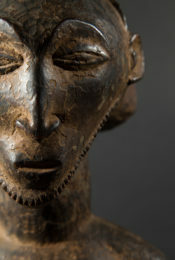 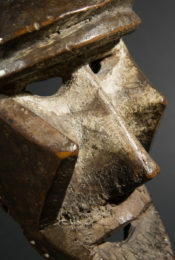 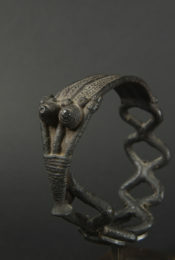 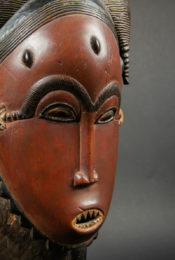 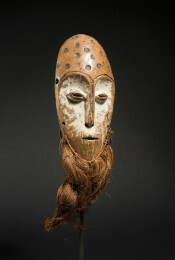 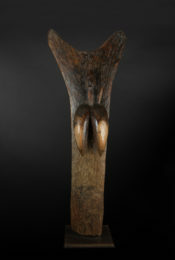 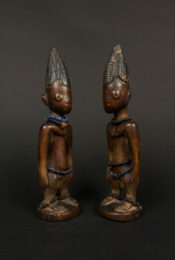 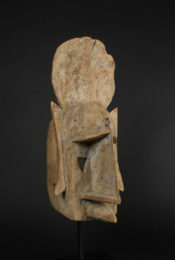 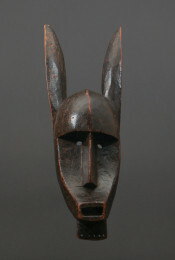 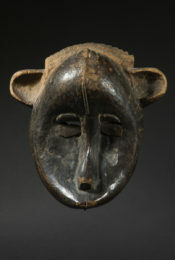 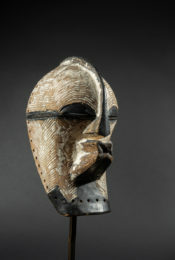 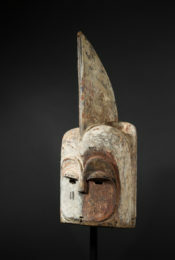 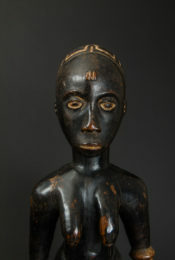 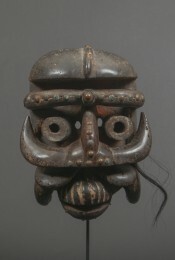 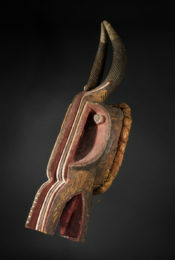 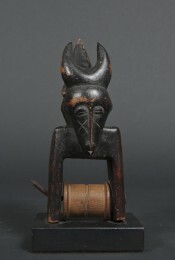 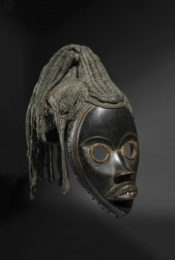 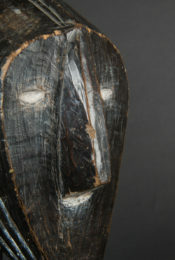 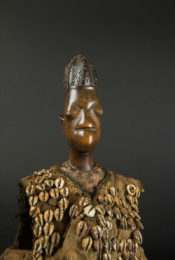 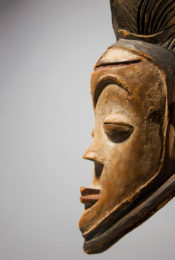 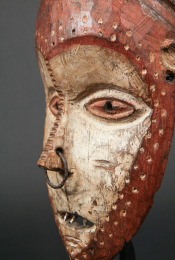 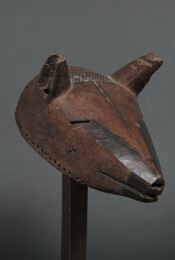 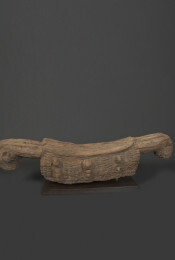 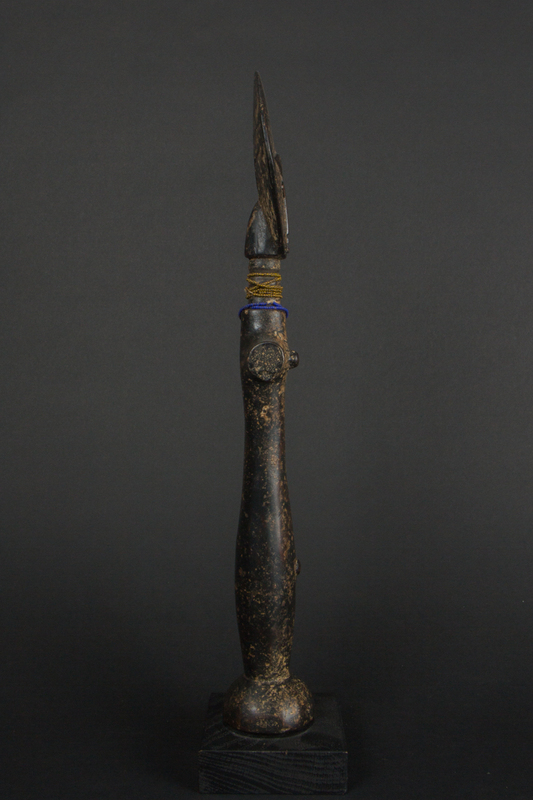 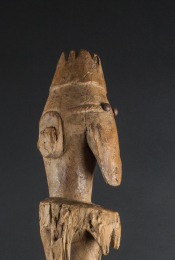 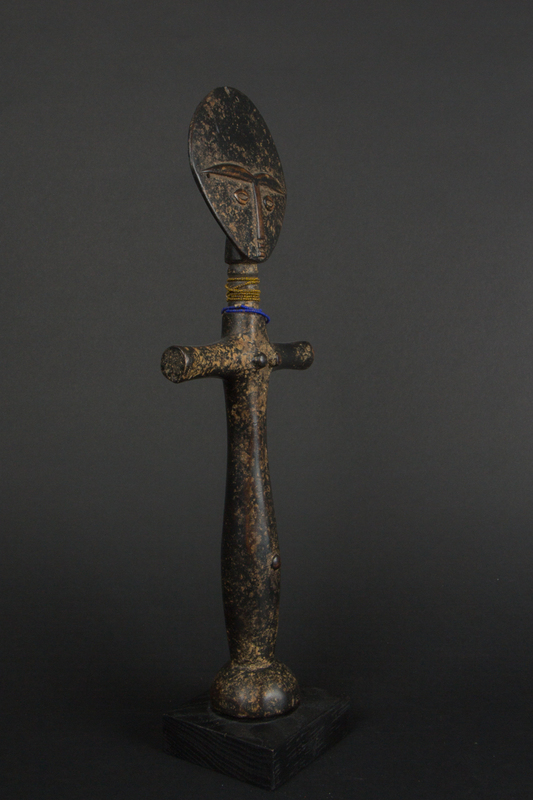 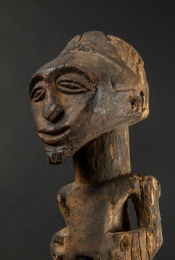 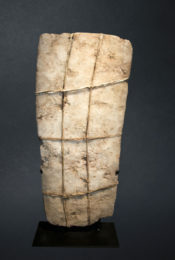 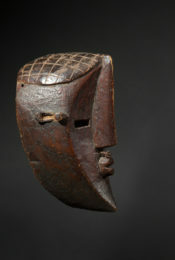 The small scars seen on the face of the akua’ba were made for medicinal purposes as protection against convulsions. 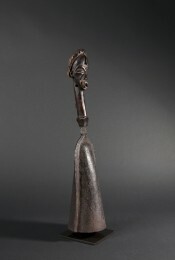 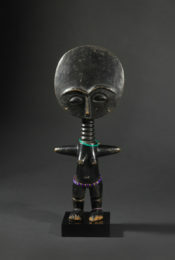 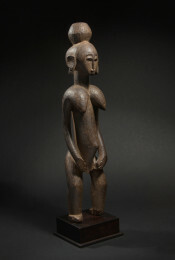 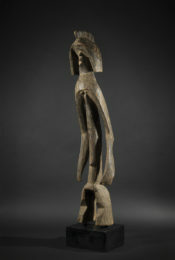 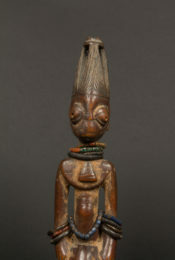 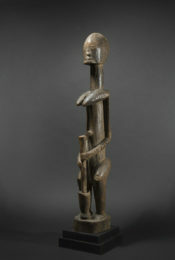 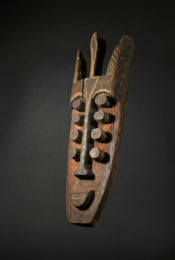 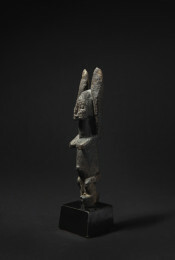 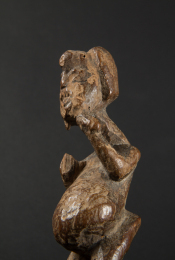 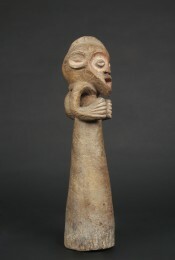 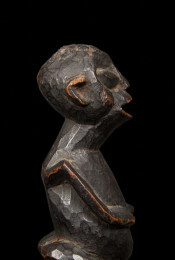 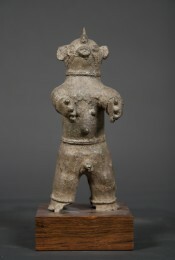 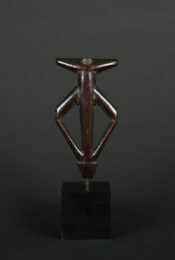 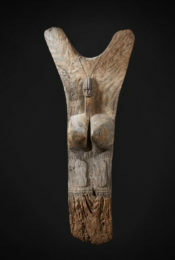 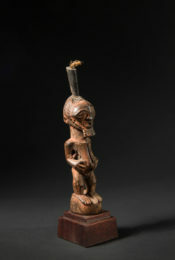 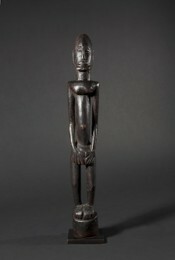 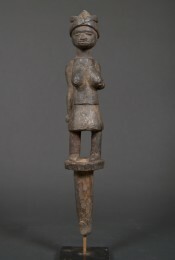 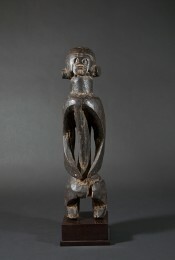 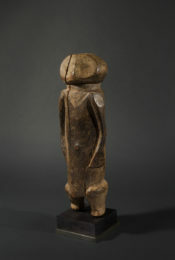 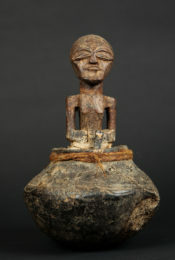 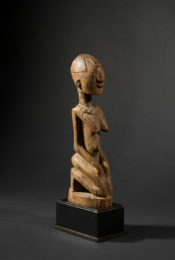 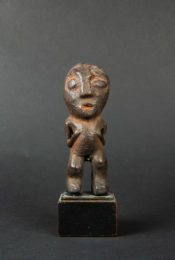 This fertility doll is distinguished by its large dimensions (36 cm high) and its elegance. 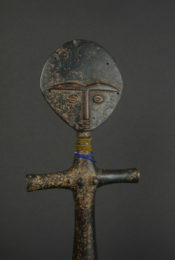 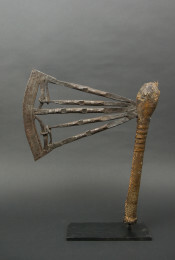 The proportions and shape are highly reminiscent of those of a crucifix. 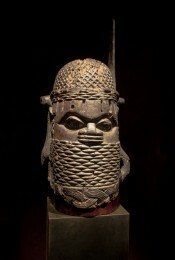 A mark of syncretism?